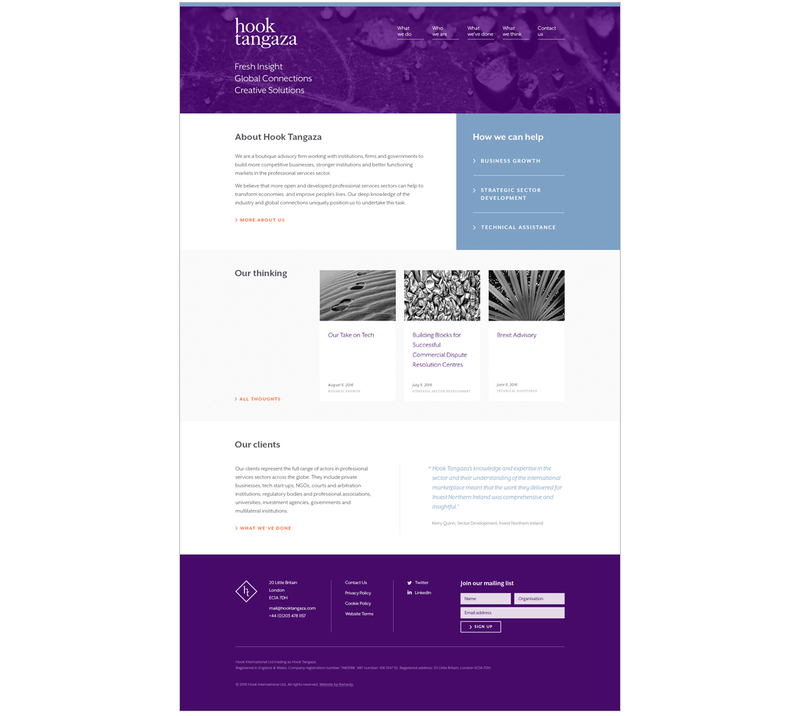 Hook International had merged with Tangaza Advisory Services and needed a new, cohesive brand identity and website. Introducing Hook Tangaza. Responsible for: copywriting and creative direction. 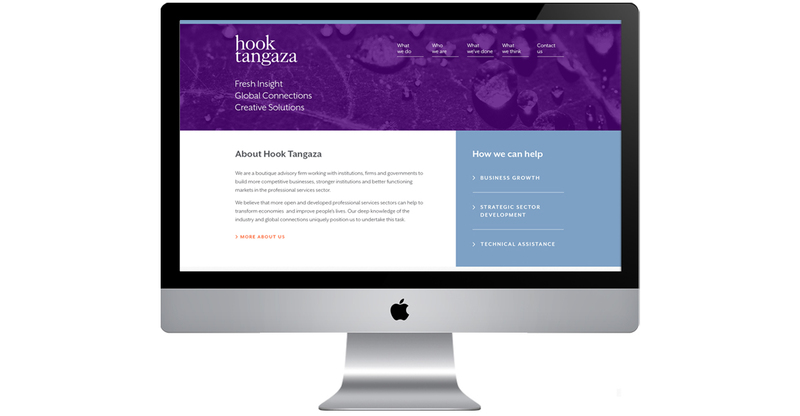 Hook Tangaza branding and website – copywriting and creative direction. 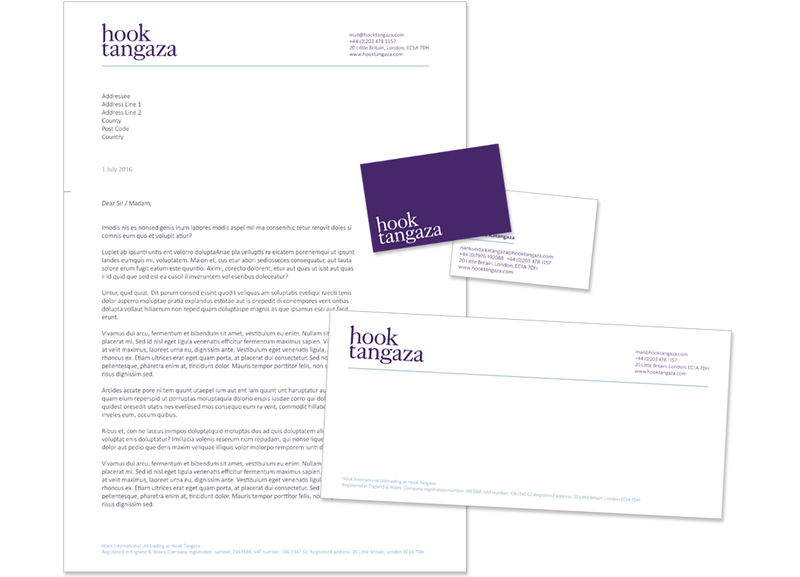 Hook Tangaza provides economic and regulatory advice to governments, NGOs and professional service firms. Following a recent merger, the client needed a new identity and website that aligned with their international reputation and brand values. Brand identity, brand toolkit, parallax website, document templates and stationery.